This Christmas mix things up a bit and try a “lapkin” for your lap, Martha Stewart is on board and chooses a lapkin over a napkin any day. If she’s doing it then we’re doing it! 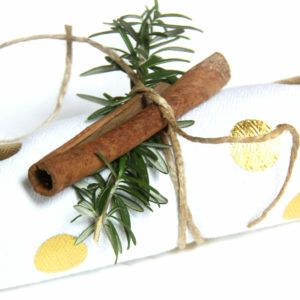 Put simply a “lapkin” is an oversized napkin made from, well anything bigger than a napkin like a tea towel. 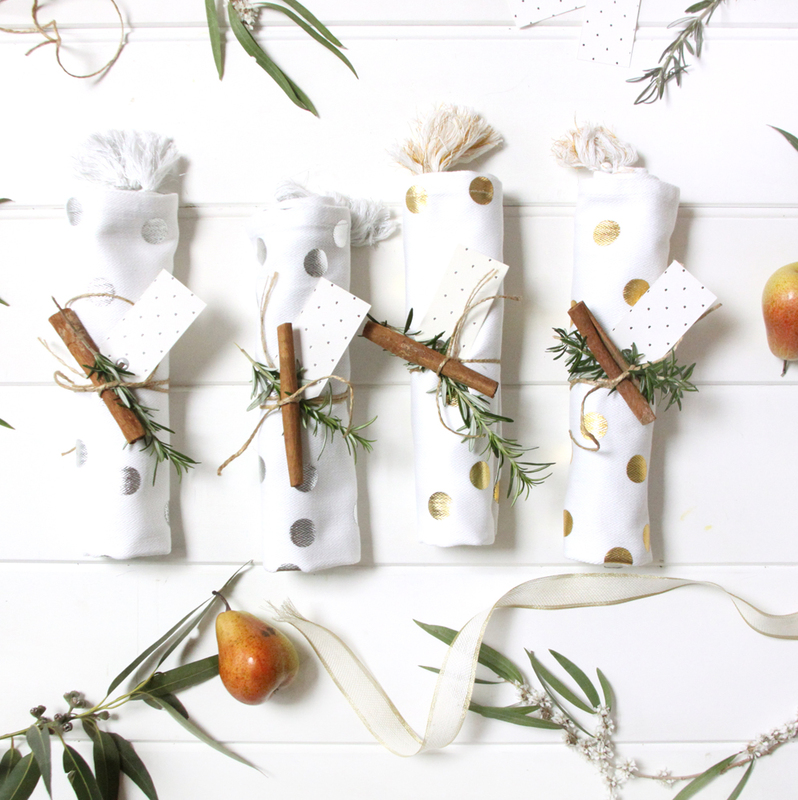 We think this a great idea, come on let’s face it, Christmas meals with all the trimmings is sticky finger occasion with and drips and drops of scrumptious sauces and a splash …whoops I spilt my champers again because I was flapping my hands around like a seagull when talking. 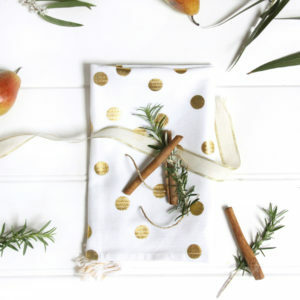 So – save the dress and pop a tea towel instead of a napkin for each setting. 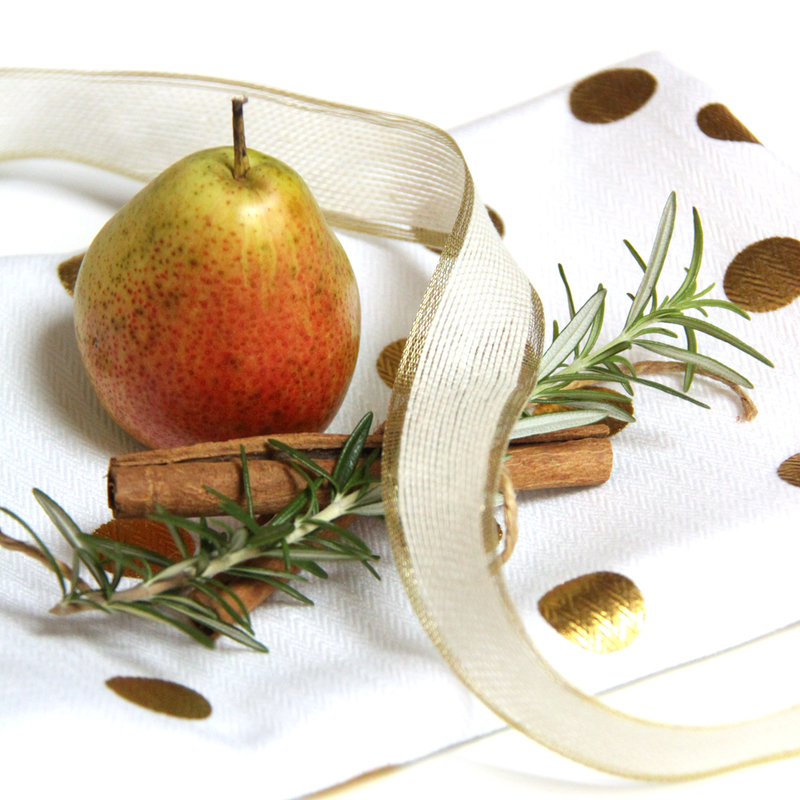 We have used our foiled printed gold and silver confetti tea towels for a glittery Christmas theme. Just mix up with some pears, herbs, fruit, a place card and your done. Lovely.